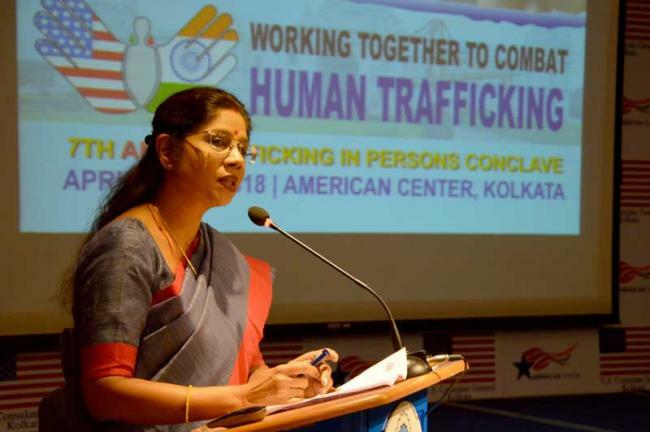 Kolkata, Apr 30 (IBNS): The United States (US) Consulate Kolkata hosted seventh anti-trafficking conclave to focus on calibrated bilateral and regional cross-border response mechanisms at the American Center here on Apr 27 and 28. The conclave was organised in partnership with New Delhi based non governmental organisation (NGO) Shakti Vahini. The conclave was inaugurated on Friday in the presence of US Consul General Craig Hall and West Bengal Women and Child Welfare and Social Welfare Minister, Shashi Panja. The consulate brought together a group of Anti Trafficking in Persons (anti TIP) leaders at the local, regional, national and international levels from India, Nepal, Bangladesh and the United States, to continue to share best practices and develop an agenda to combat human trafficking. 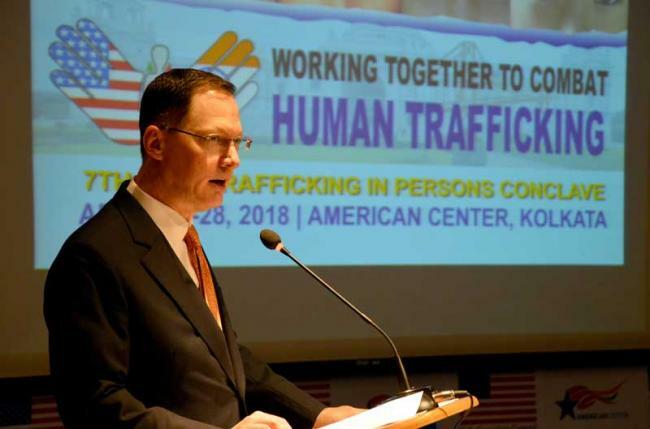 Speaking about the conclave, Hall told IBNS, "I think this is a great opportunity for friends and partners from government to society and law enforcement from different states and eastern India and Nepal and Bangladesh to come together and share ideas and best practices for combating this very real problem of human trafficking." Regarding the challenges in combating human trafficking, he said: "It is one of the most complex criminal problems that we face because it is mobile and it involves criminal problems different elements of society. So to combat the problem, the government or law enforcement department can't do it alone but it requires all others working together, highly coordinated effort. "So in that way events like these are important for bringing together all the different stakeholders so that we can coordinate our efforts to be more effective." The conclave focused on developing more vigorous and calibrated bilateral and regional cross-border response mechanisms, strengthening of existing anti-trafficking systems, and greater research to capture and understand emerging regional trends. Panja said awareness and prevention are the best tools to avoid human trafficking. Highlighting the vulnerability of migrating people in human trafficking, Panja said: "People do migrate for better income but we will have to ensure a safe migration. Safe migration can happen when we speak about the pitfalls of unsafe migration." Considering social media as a new way by which people get trafficked, the minister said: "One has to be made aware of the pitfalls of social networking. They will have to be made aware about the friendship sides and also how those relations can turn bad. It is basically an awareness generation. "I think awareness building is the best that comes through seminar, discussion and reporting of incidents of trafficking." Founder of Shakti Vahini, Ravi Kant said: "It is a great occasion to strengthen the fight against human trafficking. We have to collaborate with all stakeholders to unite and fight this crime together."